There appears to be a bit of a fare war on flights to Copenhagen, Denmark at the moment. Taking a look, it seems like everyone from Air Canada to British Airways to Delta to Lufthansa have all significantly lowered their October - April prices. 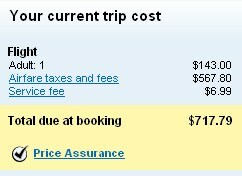 Definitely a great price for a destination that rarely goes on sale. Thanks for sharing your find Aaron! toronto, yyz, flight deals, europe, northern europe, air canada, nordic countries, delta, copenhagen, denmark, cph, scandinavia, lufthansa and british airways.